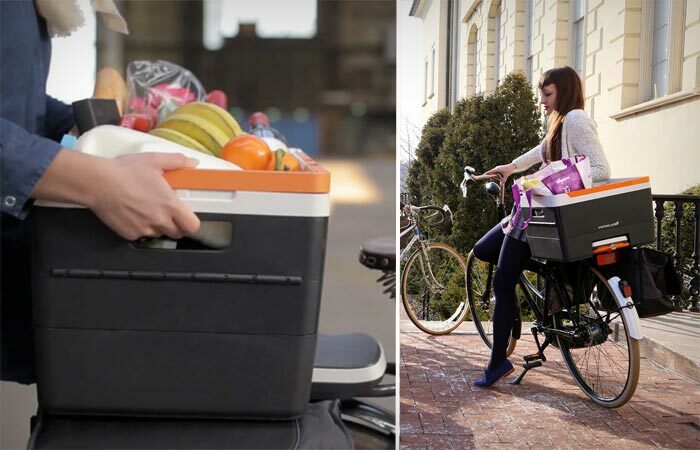 Fietsklik is a company from Netherlands, which invented a great bike cargo system. 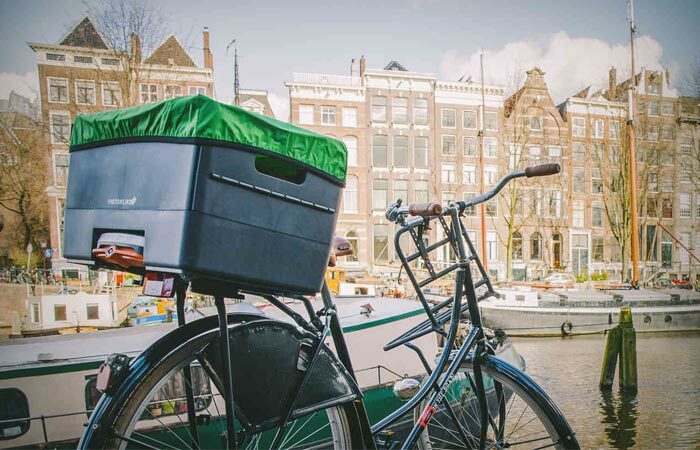 This bike carrier has many awesome perks, but considering that it comes from a country where almost every citizen spends a lot of time cycling, it is not surprising. With this product you will not need to bother with bungee straps to secure your cargo anymore, because they offer us a much safer and simpler way. Fietsklik came up with a so called Klik adapter, which is compatible with almost every rear rack, very useful and practical, and it will be the first thing you will attach onto your bike. Then comes the real deal. With a simple click onto this adapter you can connect shopper panniers, wheeled crates, laptop bags, child seats and messenger bags. 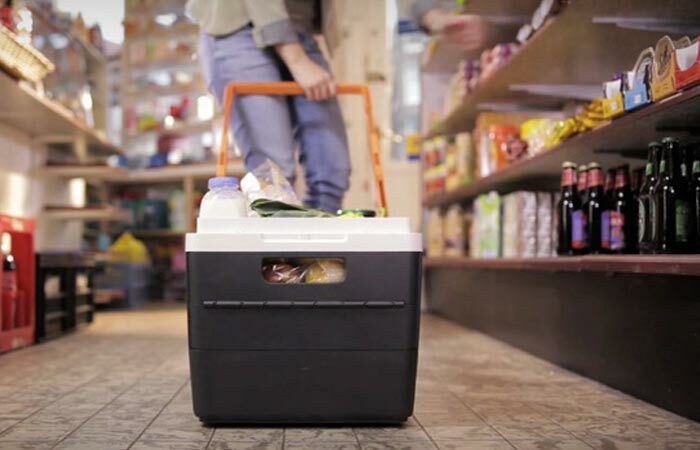 It is very easy to carry stuff on and off the bike, and you will find this very useful, because the crates have their own wheels, so you will take them off anytime you can roll it and take it with you in the grocery store. At a time you can carry two panniers and a crate. However if you decide to leave them on your bike, they will be secured against theft, since they come with a key. The looks of Fietsklik’s locking cargo system are really good; it will fit any bike and is probably prettier than any other bike carrier. It is eco-friendly, just like cycling itself. The crates are made from lightweight and high-impact plastic that has been recycled.